When I first tasted this dish I was struck by the combination of flavors and textures that work so well together. Since cauliflower, as a vegetable on its own can be rather bland, in my opinion, it needs to be enhanced by other flavors or seasonings to give it some punch. By preparing it as an au gratin, cheese in the sauce provides the contrasting flavor, and the smooth creaminess of the sauce adds a strong contrast in texture. So too does the crunchy breadcrumb topping. Preparing this dish is not difficult, but does require several steps. Plan on about an hour to make it. To begin wash a head of cauliflower removing the leaves and tough inner core. Leave the head whole, and place in a sauce pan large enough to hold it. Add about an inch of water to the pan, season with a little salt, and bring to a boil. Cook until just barely tender, so cauliflower will hold its shape. 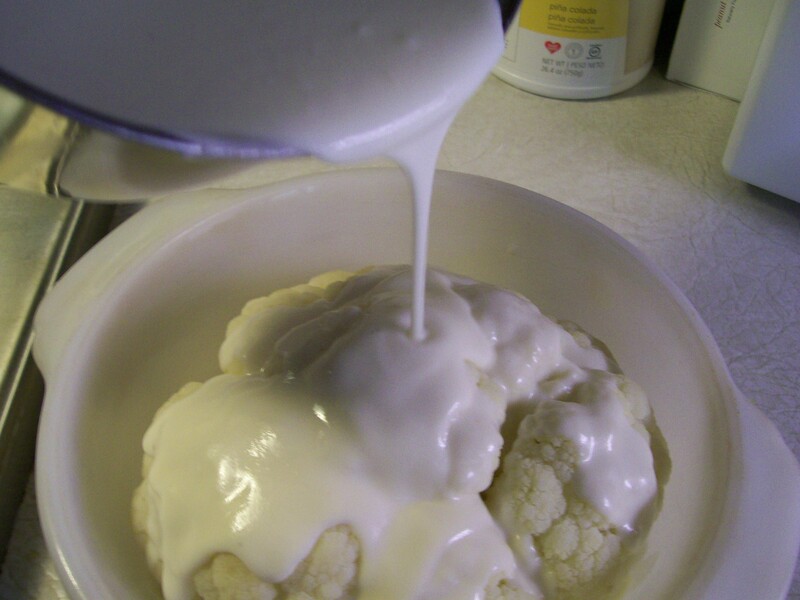 Drain water and place cauliflower in a baking casserole; one which has room for the added sauce. 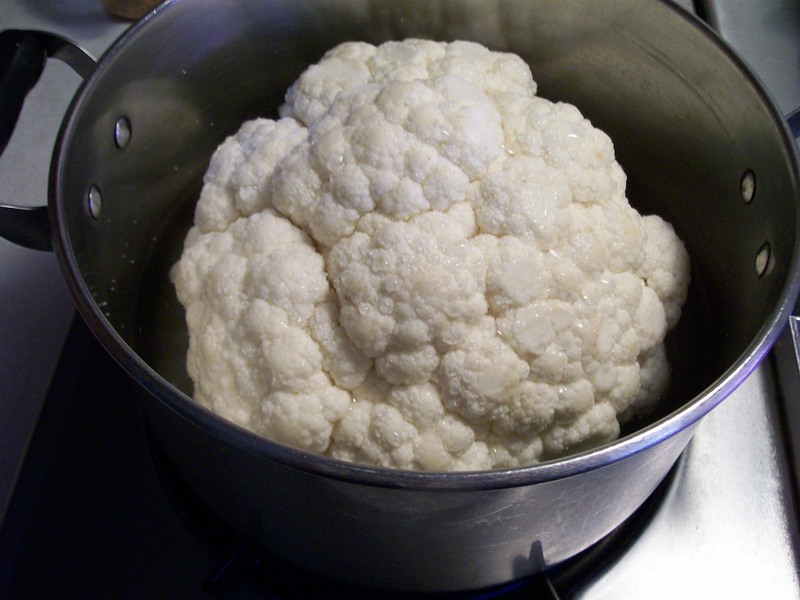 While cauliflower is cooking, begin to make your sauce. This is a béchamel sauce, or in Italian called balsamella. This is basically a white sauce to which I’ve added cheese. Mine is a simplified version which is easy to prepare, and if you wish you can make a double recipe and have some left for another use, such as Eggs Benedict, or asparagus with Hollandaise sauce, or use in a pasta casserole. In a medium saucepan melt the butter over medium heat. Add the flour and whisk until smooth, about 2 minutes. Gradually add the warm milk, whisking constantly to prevent lumps from forming. Continue to cook over low-medium heat, whisking constantly, until sauce is thick, smooth, and creamy, about 10 minutes. Do not allow sauce to boil. Remove from heat and stir in salt, pepper and nutmeg. Add additional salt, pepper and nutmeg to taste. Pour the sauce over the cauliflower in the baking dish. 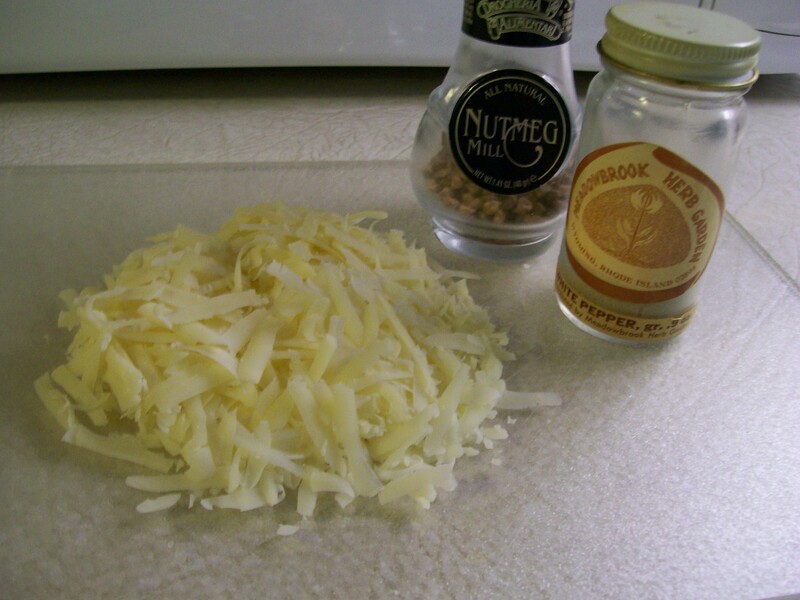 Combine crumbs with melted butter. Sprinkle evenly over cauliflower. 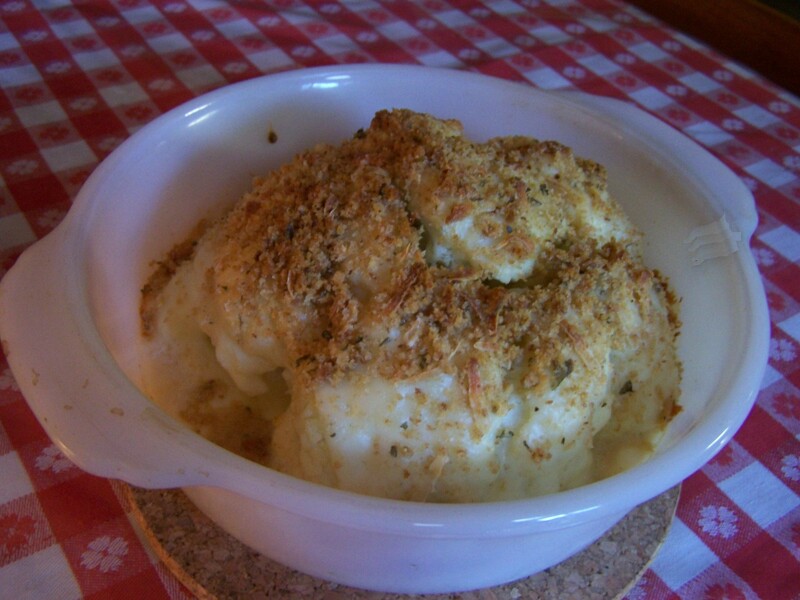 Bake in a 350 degree oven for 30-40 minutes until cauliflower is tender and crumbs are nicely browned.